An eLearning version of this Study Kit is also available for a base price of $199 or as an add-on to the printed Study Kit for only $99. 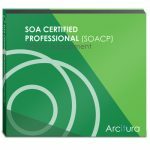 Visit the SOACP Module 1 eLearning Study Kit page for details. 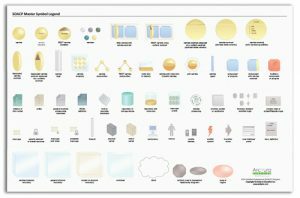 – Course topics are organized into a series of video chapters that can be individually played. 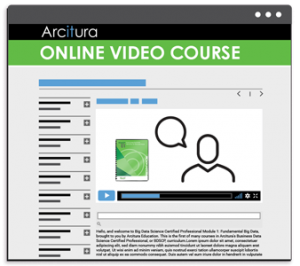 – A rolling transcript of the video is shown, synchronized to highlight text that corresponds to the instructor’s teachings. 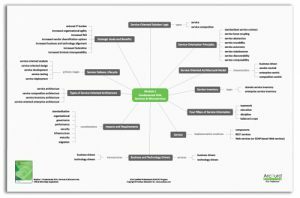 – Interactive exercises are interspersed between the video chapters and can be individually invoked. 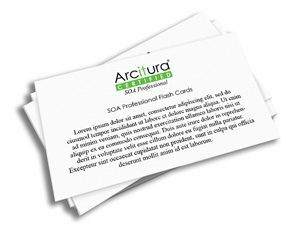 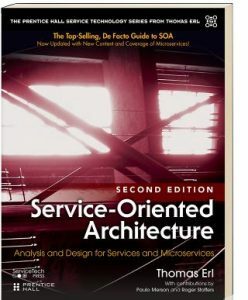 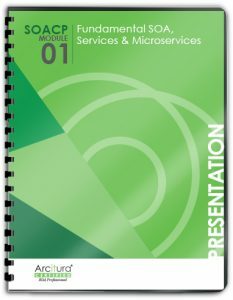 This SOACP course module covers a range of in-depth topics that are described in the course booklets and further elaborated by more detailed coverage in the associated Service-Oriented Architecture: Analysis & Design for Services and Microservices (Second Edition) text book from the acclaimed Prentice Hall Service Technology Series from Thomas Erl. 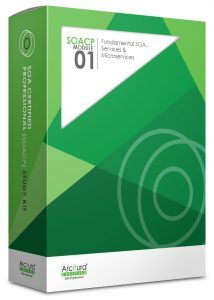 This text book is included in electronic format as part of the Study Kit and may be provided in paperback or electronic format as part of workshops.